Last week, a moose strayed into a family-friendly neighborhood in the city of Namsos in Central Norway, according to Namdalsavisa newspaper. Several residents observed the big animal that is not an unusual sight since the area is located near the forest. 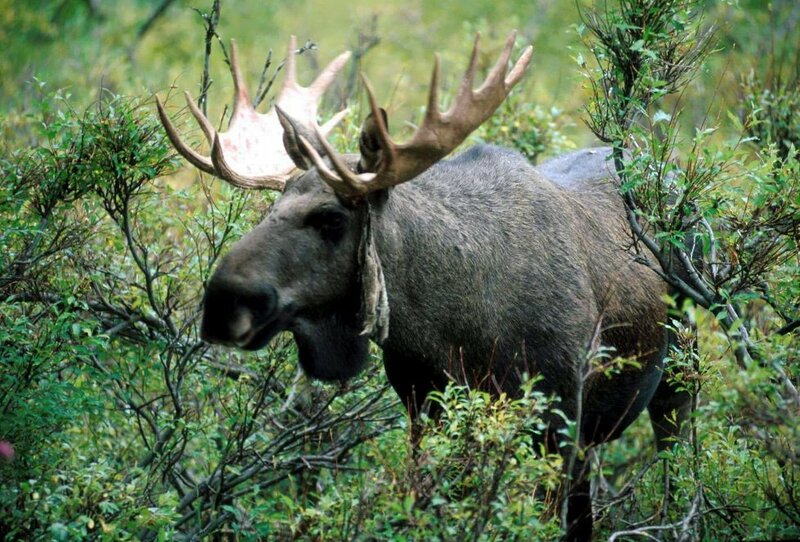 However, it was very unusual that a feverish man in his 20s ran after the moose – equipped with a sword. The local police received several inquiries from the public about the incident and eventually had to take them seriously. The police was called out, and in an apartment building they located the sword-hunter and one of his mates. – Both were affected by drugs. We found small amounts of drugs in the apartment, and they were arrested and taken in for questioning, says Stig Roger Olsen in North-Trøndelag Police District. In other words, the man was chasing the moose under the influence of drugs? – It’s quite obvious, the police officer replies. He adds that the sword-hunter was not threatening people. So, what about the “King of the Forest”? It escaped without a scratch.